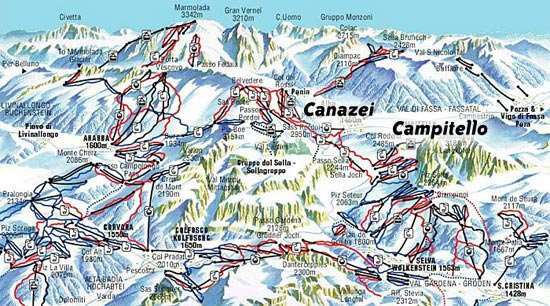 Beginners will find that there some good nursery slopes in whatever resort they choose but a quick ride on the ski bus will take them to Canazei where the best ones are. 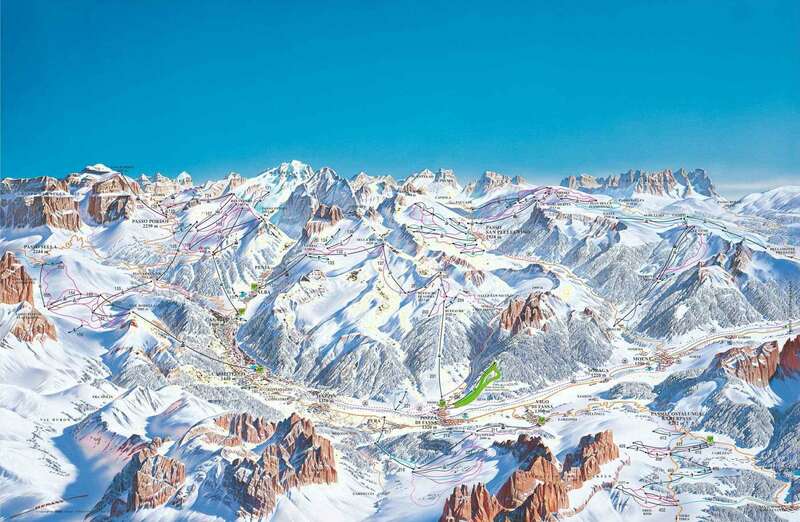 Intermediates will have the whole area at their feet and since most of the pistes are red there is plenty of opportunity to cruise and enjoy the entire Stella Ronda circuit. Advanced skiers will also find plenty to challenge them here with numerous blacks and a great variety of scenic off piste. There are also world championship downhill courses in Val Gardena and La Villa to try out and wonder how the champions make it down so fast. Around 80% of Val Di Fassa's pistes are covered in snow making facilities which contributes to natural snowfall for guaranteed skiing throughout the season. Both these resorts are proper mountain villages with a lot of charm. There is also a very active après ski scene and lots of bars and restaurants to keep the skiers and boarders amused off the slopes- the Cantinetta Disco in Canazei is worthy of particular mention. Venice Marco Polo (VCE) airport is the nearest airport to Val Di Fassa which is around 175 km away which is a bus or car transfer journey away. 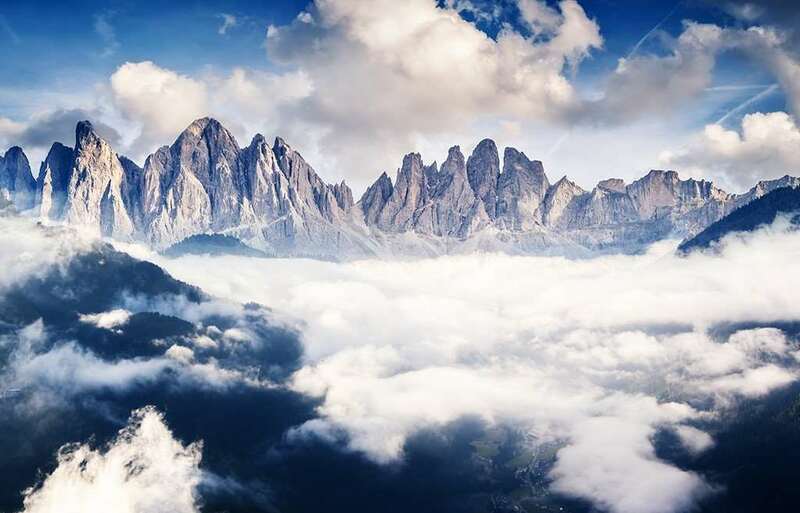 My Favourite resort is Canazei in Val di Fassa, Italy. The location is perfect, 6hrs(ish) from my door to chalet, then its access to the massive Dolomiti Superski/Sella Ronda ski area. The village still has that mountain feel and the people, bars and restaurants are still friendly to us brits. The ski area is fairly reliable when it comes to snow and with so much area to ski everyone should be happy. When the sun shines, this place really does take some beating.